"The first thing she showed us was a large bassin with 7 or 8 large turtles, one of them being 20 years old or even older. All of the turtles were there because they were found being injured or sick. The oldest one couldn't even swim anymore when they found it. Another turtle was missing a behind leg. The centre helps the turtles to recover and afterwards, if the turtles are strong enough, they release them into the ocean. 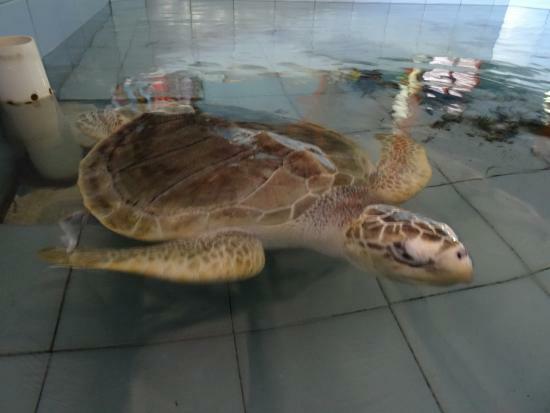 We got the chance to feed the turtles fish which was such a amazing experience!" 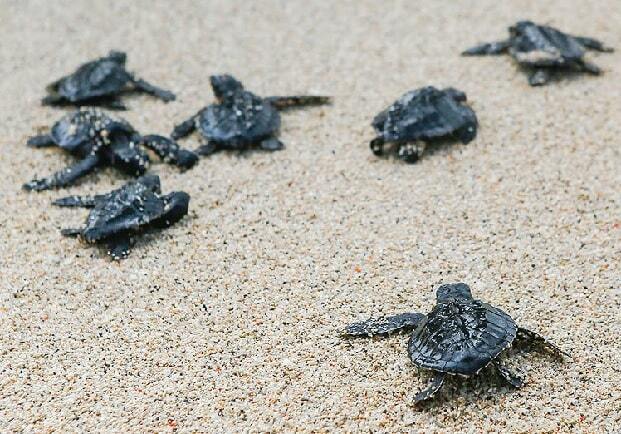 Sea Turtles come to Bali's ashore at night to dig a pit and there to lay their eggs. This happens in several places, but we have to find some place highly recommended. The Turtle Projects in Kuta and Tanjung Benoa we have strongly discouraged. If you book a tour of the island, they usually go to one of these projects. But who delves read on the Internet, hereby can read the following texts: "Pathetic, here you do not want to go !!" and "Pure tourist: sorry for the animals" or "Extremely expensive tour to see animal cruelty". Often refer to such attractions also other animals, such as monkeys or snakes in deplorable conditions! I am therefore pleased to tell you about Serangan Turtle Conservation and Educations Centre (in short: TCEC). This is the Serangan island and is connected by a bridge to the mainland. The TCEC is supported by the WWF, the governor of Bali, the municipal authorities of Denpasar, the provincial "Nature Resources Conservation Agency" and the local community. The focus is not only on the eggs ofthe turtles, but also to injured turtles, which are found in fishing nets or injured by boats. These turtles deserve extra loving and they take care to the in a friendly way. In a large swimming basin, you'll find several turtles bathing. The employees of Serangan Turtle Conservation and Educations Centre deserve more attention and interest. 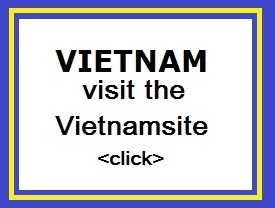 It is highly recommended to take a look. The TCEC is part of a comprehensive strategy to eradicate the trade in turtles on the island. Sea turtle meat is a popular delicacy in Bali, especially in Balinese ceremonial celebrations. However, various environmental organizations such as the TCEC try to help educate local people in the conservation of sea turtles in Bali. At night, the turtles (females) come ashore to dig a pit (30-50 cm deep) and to lay their eggs. They lay 100-110 eggs and throw the pit then closed again. Such a turtle egg is like a ping pong ball with a soft shell. "Turtle Rangers' are walking on the beach to protect the stranded turtles and to return them safely to the ocean. Moments later, the ranger digs on the eggs to keep them in a protected, enclosed area and they are buried safely again. It takes about 45 to 75 days before such a true egg hatches. The warmth of the sun determines whether the eggs are boys or girls. It is very hot, then some more girls. At low temperatures, there are more boys. When they come out they want as quickly as possible to the sea from the egg shell. They have to prey then that they don't encounter raptors, which are looking for a tasty snack. 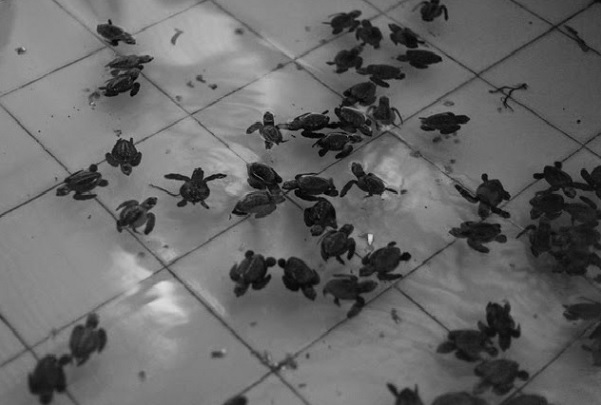 In Serangan the newborn sea turtles will be placed in a basin to let them recuperate. Once unleashed on the beach, they set sail. They live the first years of small marine animals. Of all the "turtle centers" is this the best. The WWF finds it also. It is hard to find, even though it is located only 3 km away from Sanur. It looks like our Western standards a bit shabby. It would need a revamp. Fortunately, the animals are lovingly taken care of here. This in contrast to Kuta and Tanjung Benoa. However, every taxi driver knows to find the TCEC in Serangan. "At the end of our visit my sister and I both adopted a turtle for 100 000 roepia each. We got a certificate and then we went to the ocean with the volunteer to release the baby turtles (2 months old). She explained to us that once the turtles are two months old the centre releases them anyway but visitors get the chance to help them and give a donation that way. Once again it was such an amazing experience! We put our turtles on beach close to the water line and then we just waited for the turtles to crawl closer to the water and for the waves to take them into the ocean. Such a beautiful moment when you see your turtle swimming towards freedom. This is something I will never forget. So TCEC is really a nice place to visit, I can imagine it is also nice to go there with children. They didn't ask for a entrance fee, they didn't ask for a donation and it was me who asked about the adoption. They didn't force it upon us and after we adopted the turtles they didn't ask our friends to donate as well. So let it be clear: this place does a really good job, they're not their to rip off tourists. So make sure you go to the right place."